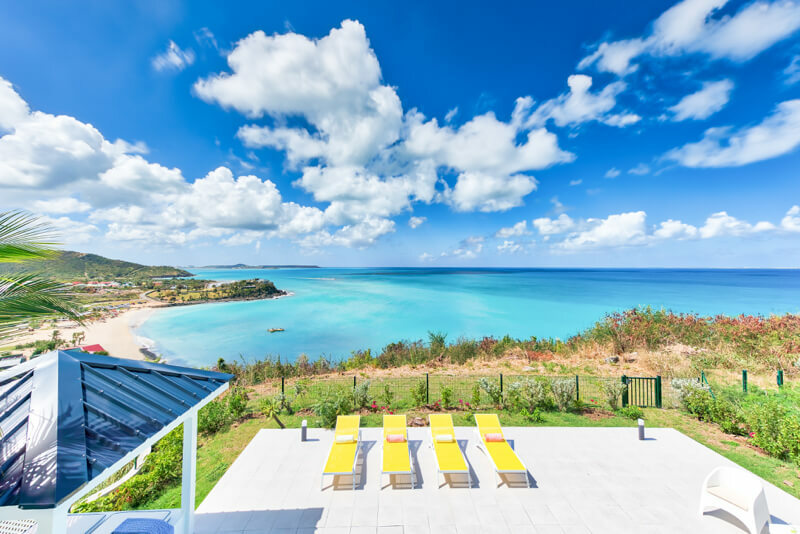 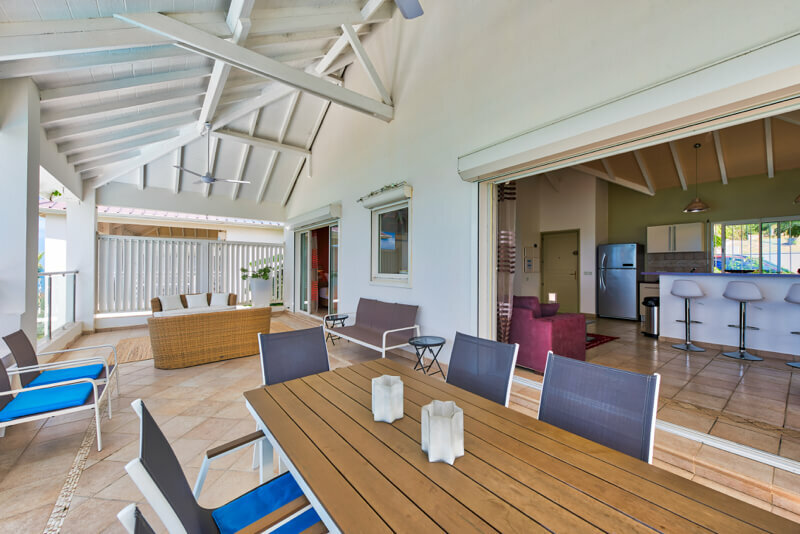 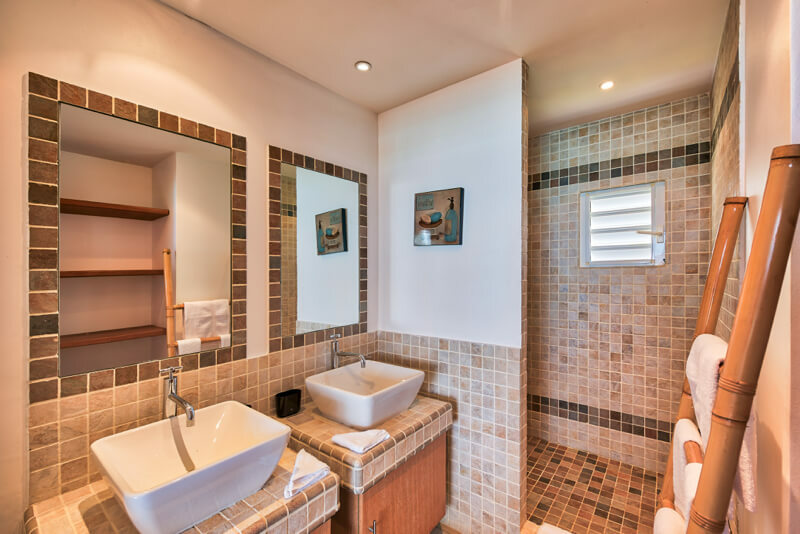 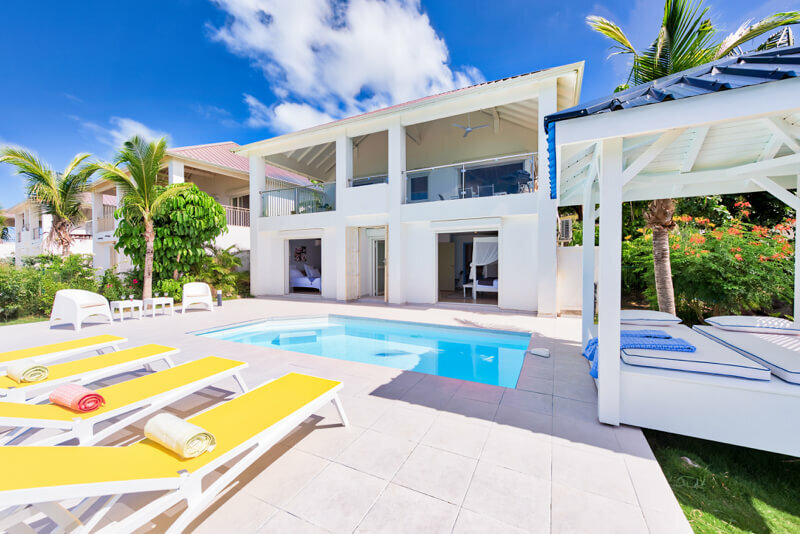 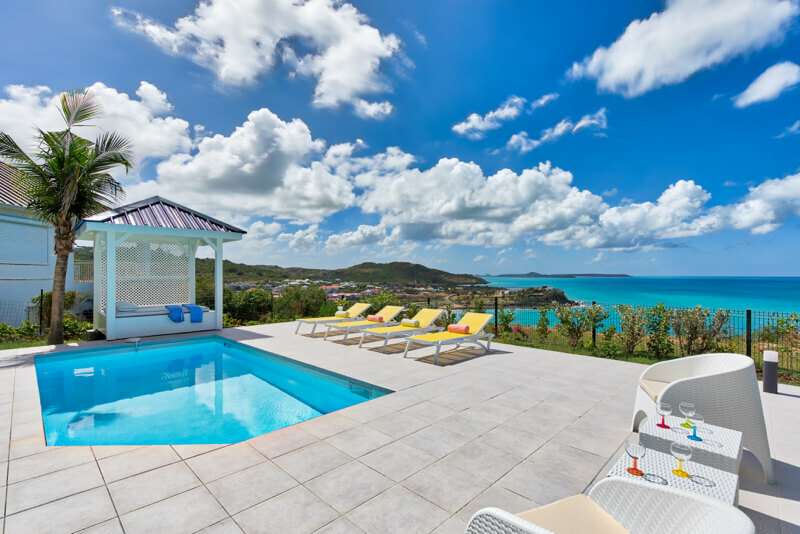 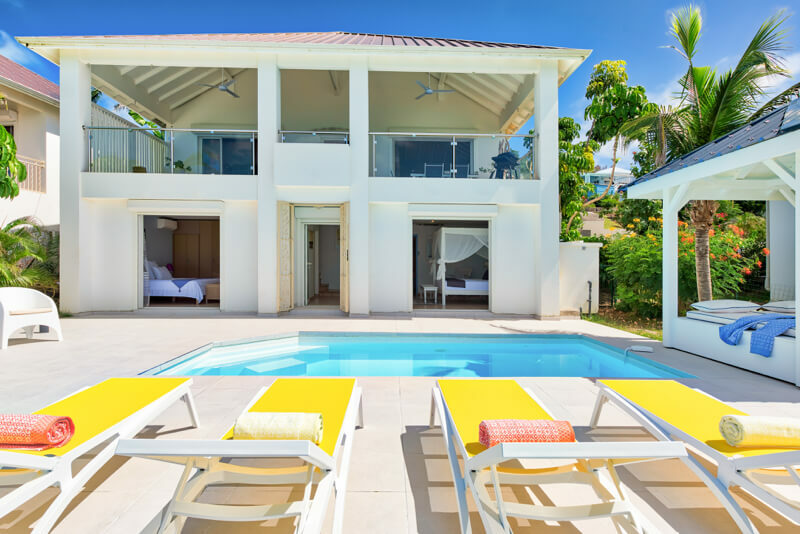 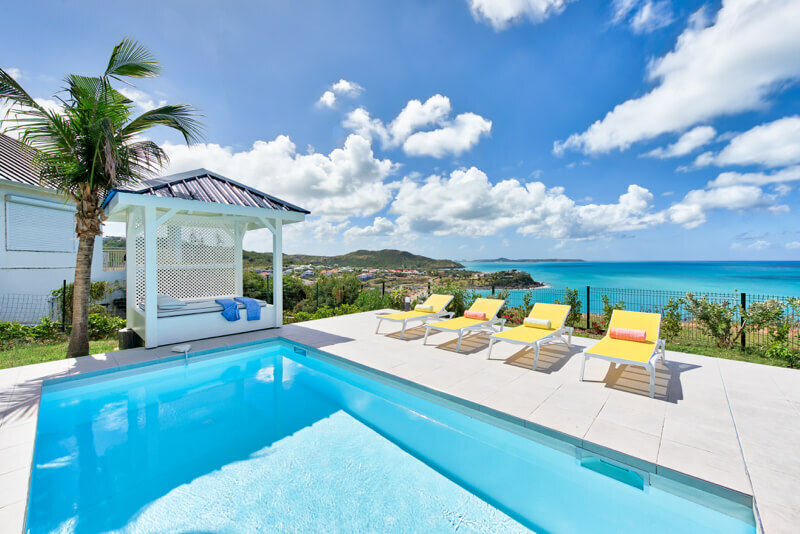 Blue Sailing is a very nice 3 bedroom/3 bathroom townhouse villa located in the private and gated community of Happy Bay Estate, St Martin. 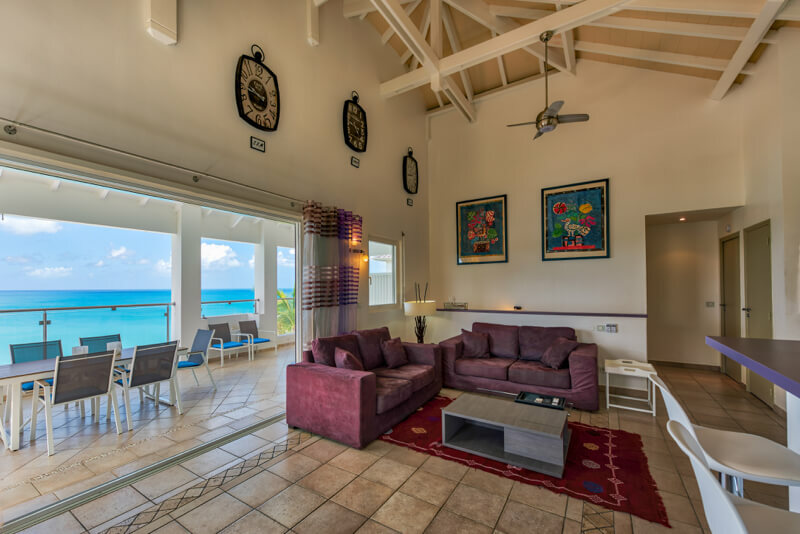 This well decorated, two level property is fully air-conditioned and offers amazing ocean views. 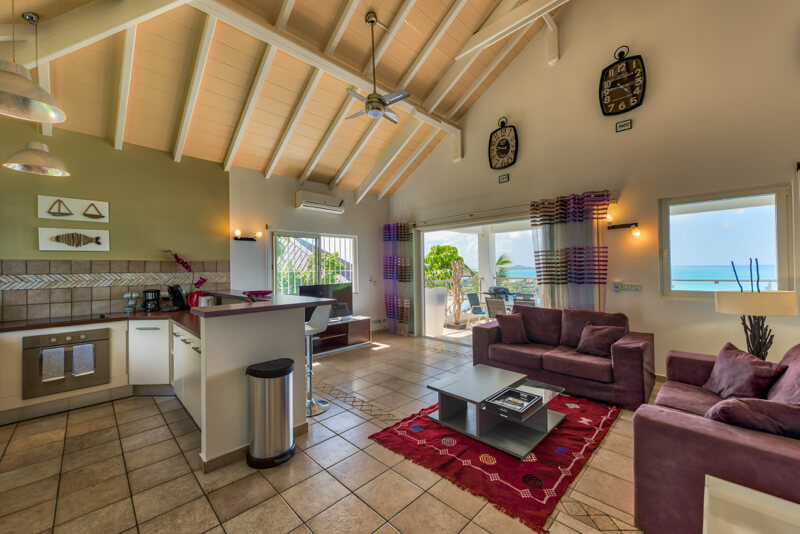 On the top level (entrance level) you will find the living area, kitchen and one of the bedroom. 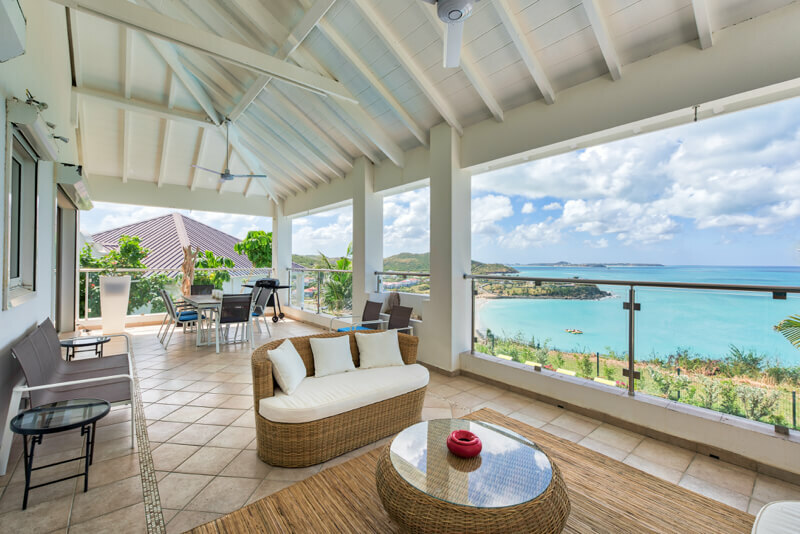 From the open floor living space as well as the bedroom you have direct access to the terrace located in front offering breathtaking ocean views and comfortable seating. 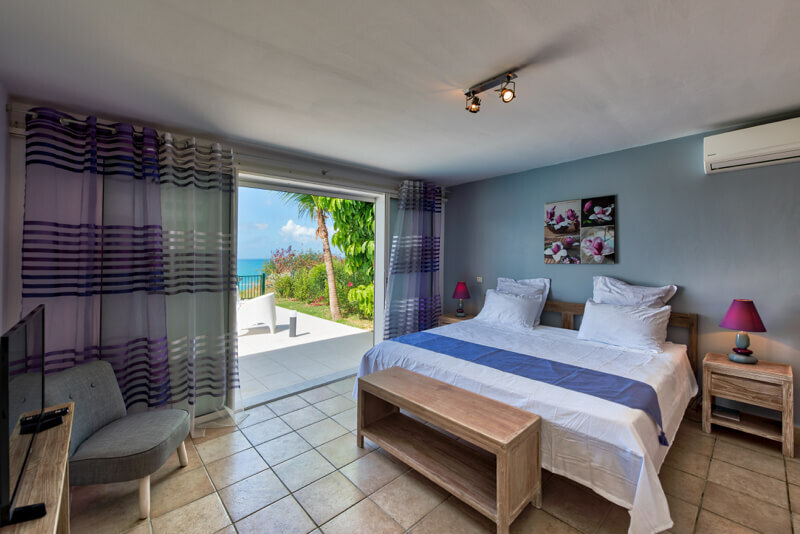 On the lower level (indoor access) you will find two bedrooms and these bedrooms open up to the pool area. 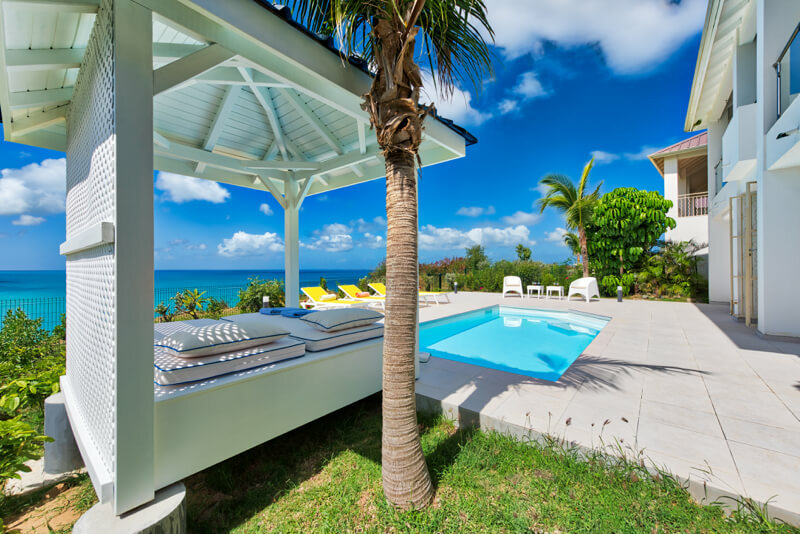 The pool is surrounded by a great space with lounge chairs and gazebo area with a comfy daybed. 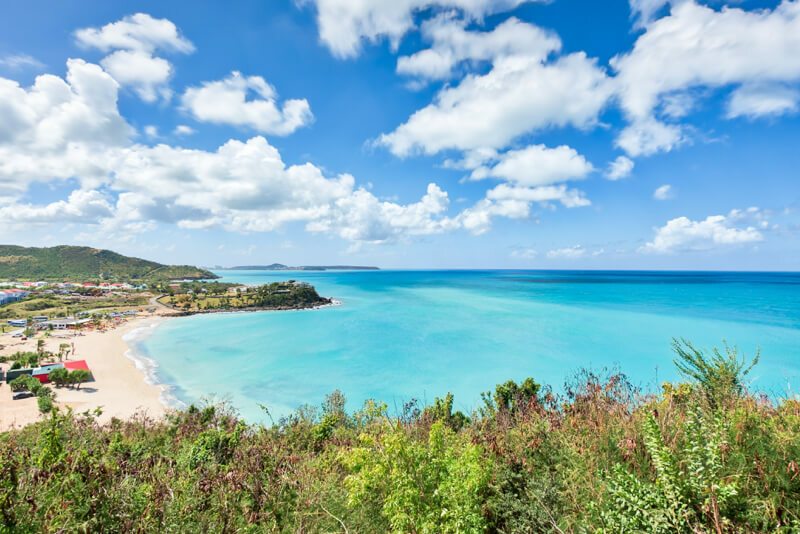 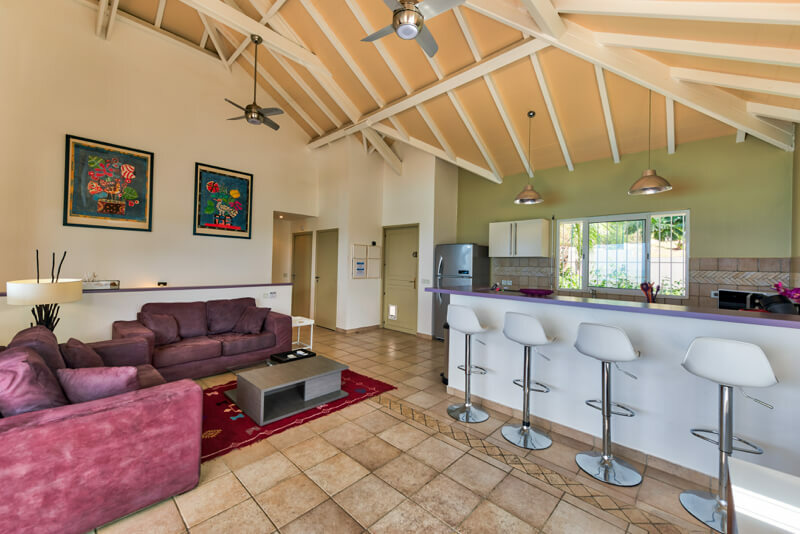 This is the perfect family escape within walking distance to the more secluded Happy Bay Beach and the famous Friar’s Bay Beach where chair rentals and a restaurant are offered. 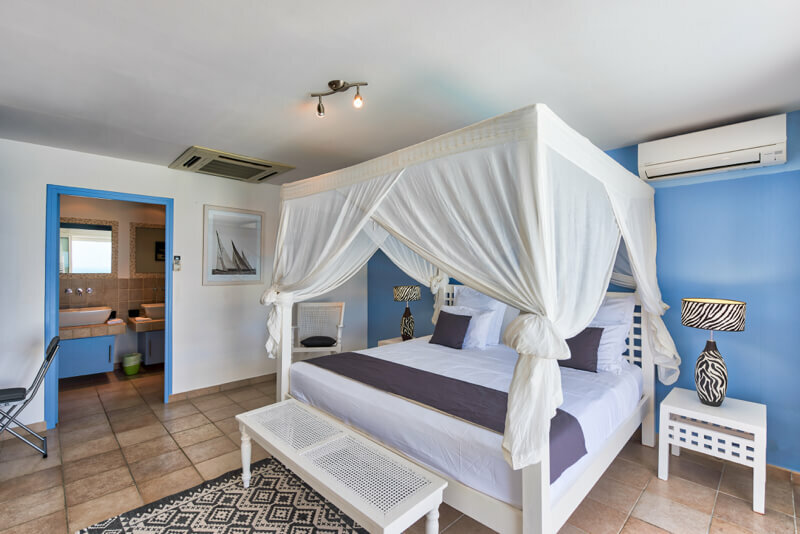 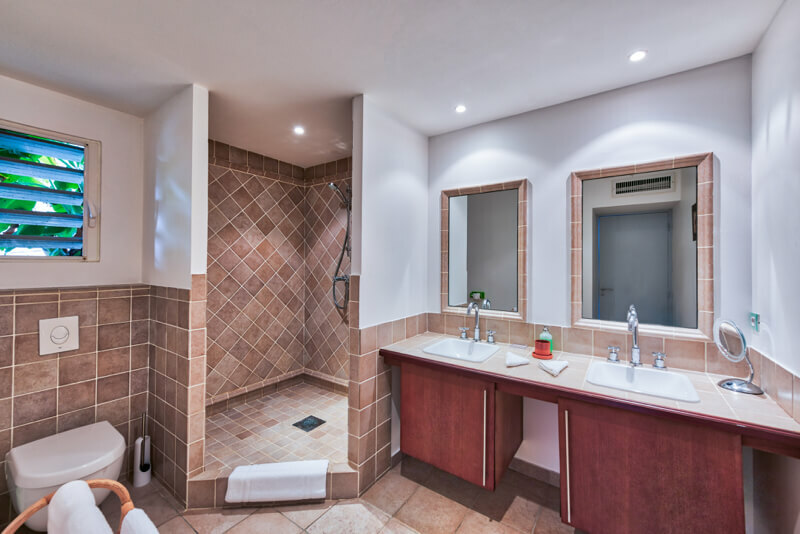 There are 3 air-conditioned bedrooms with king size beds and en-suite bathrooms with showers. 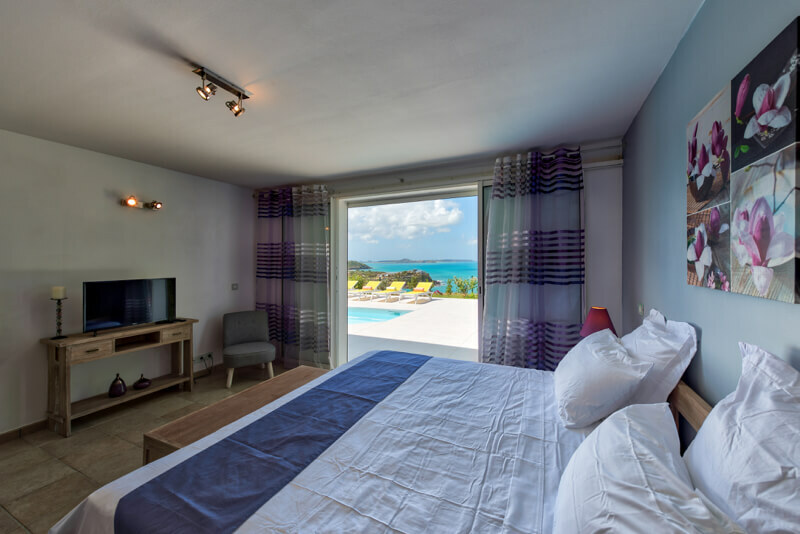 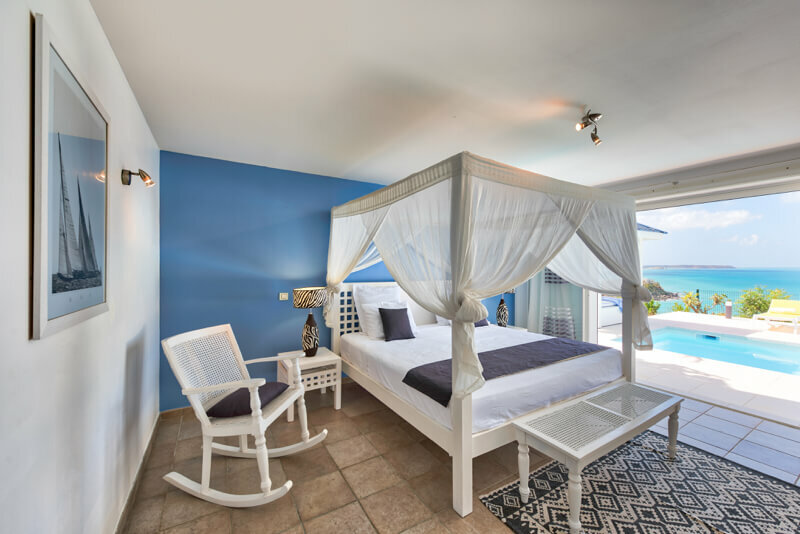 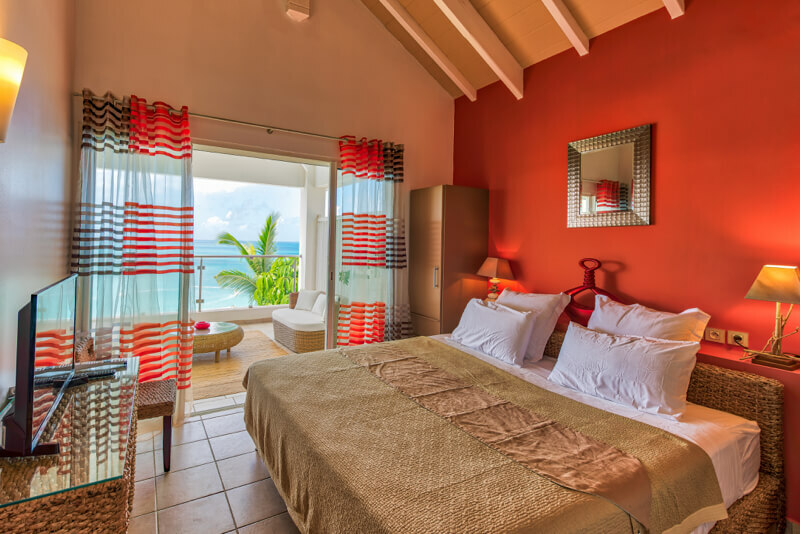 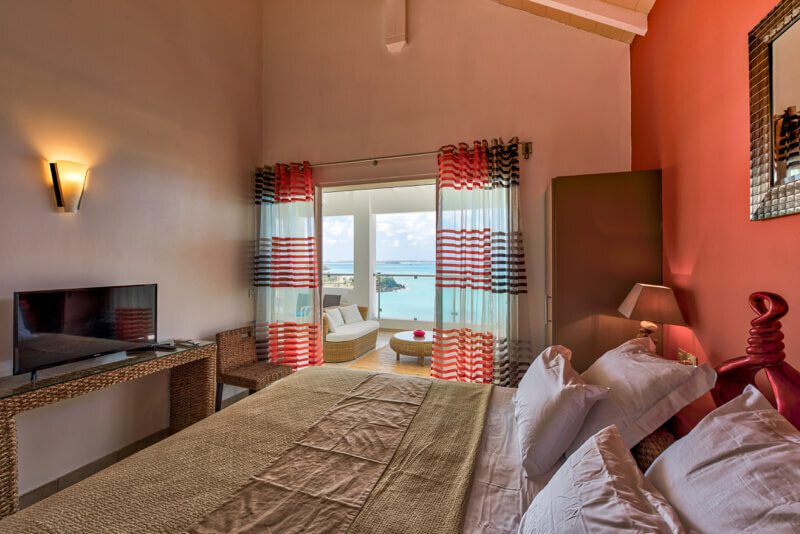 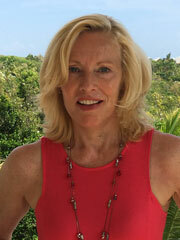 Each bedroom offers ocean views as well, indoor access, a TV, DVD player, ceiling fan, hair dryer and safe. 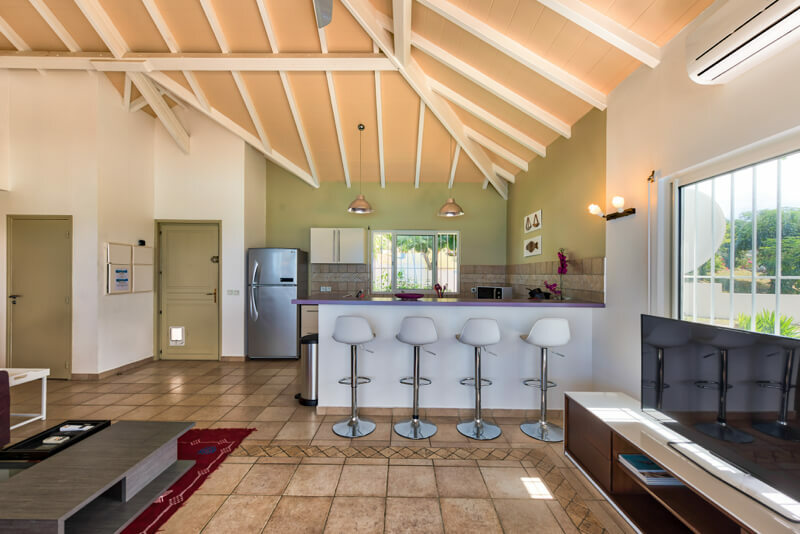 Fully equipped spacious kitchen with breakfast bar and bar stools. 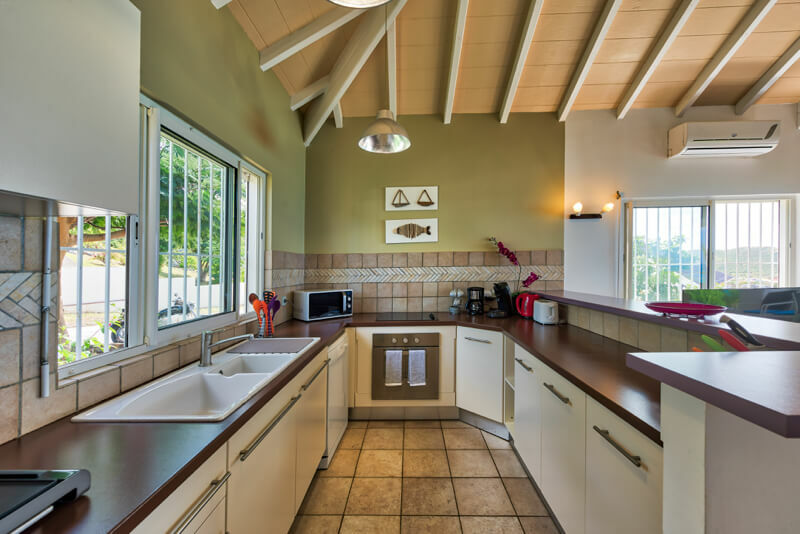 It offers an microwave, stove, refrigerator, blender, toaster, dishwasher, coffee maker, etc. 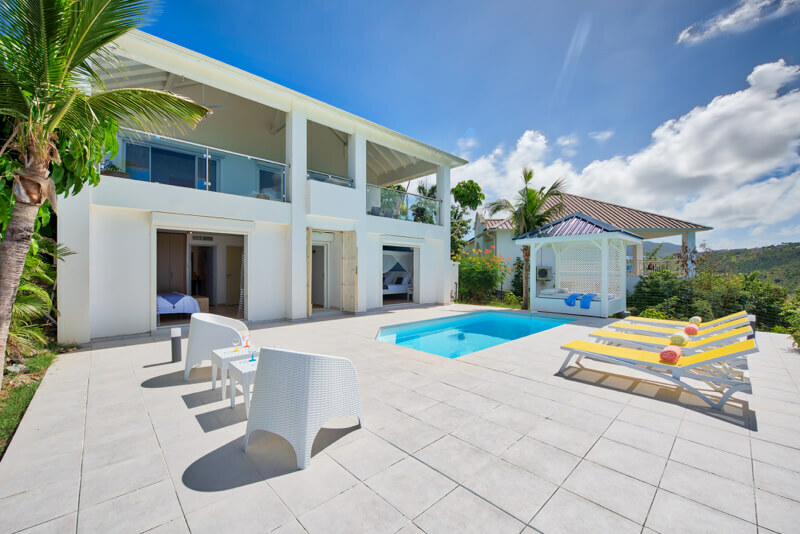 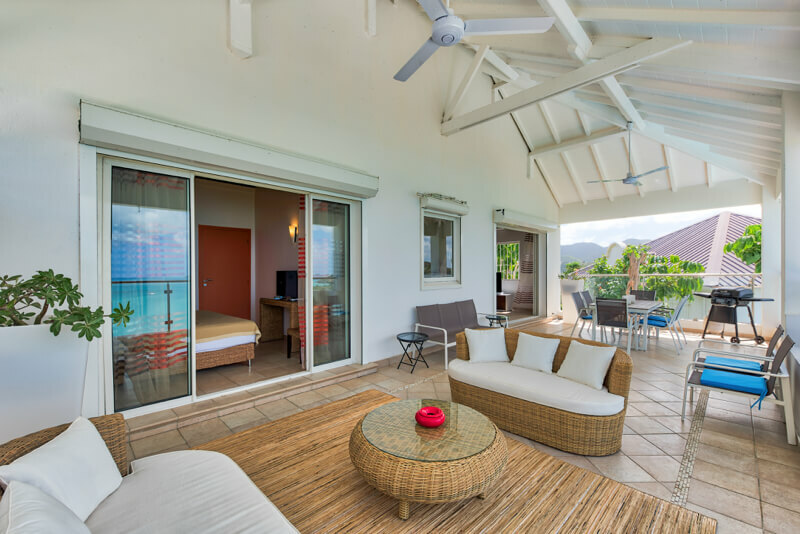 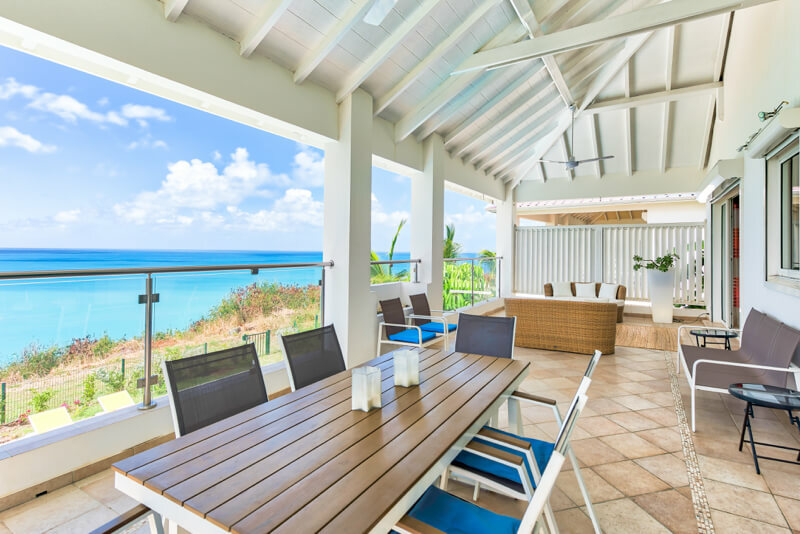 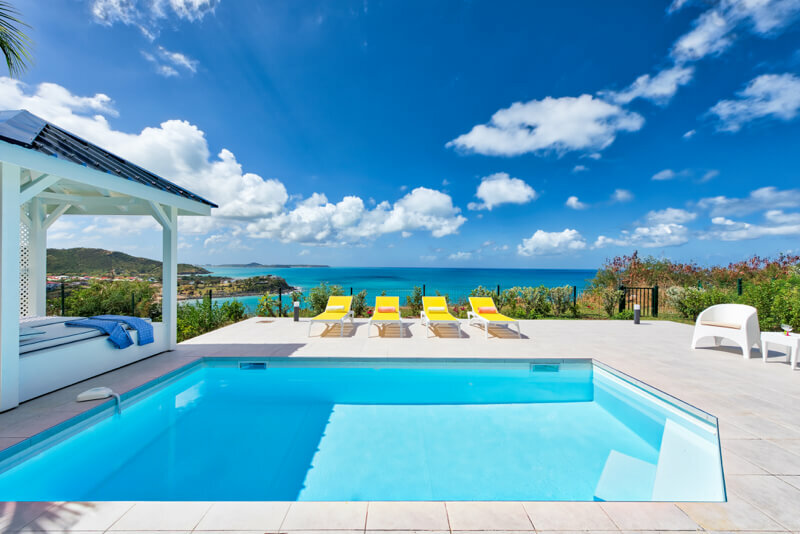 The open floor plan living space is air-conditioned and has high ceilings and tall glass sliding doors that open up an outdoor terrace area overlooking the ocean and the island of Anguilla in the back ground.